The Artesian is wheelchair accessible, all-ages, and a proud supporter of safe spaces initiatives with a zero-tolerance policy towards hate, harassment, and/or discrimination. We reserve the right to remove any patron creating an unsafe environment. The accessible entrance is available via a lift, Please ask staff for help if necessary. Recently named 2017 International Tribute Artist of the Year at the Josie Music Awards, Aaron Prociuk is the real deal when it comes to performing a tribute to Johnny Cash. Growing up in the countryside of East St. Paul, Manitoba and inspired by the movie “Walk The Line”, Aaron taught himself guitar at the age of 15. While mastering the lead work of Cash's original guitarist Luther Perkins, he discovered he had a knack for singing Cash's music as well. A.R Cash began in 2013 as a stylistically authentic tribute to Johnny Cash from the 1950's through the 1960's. 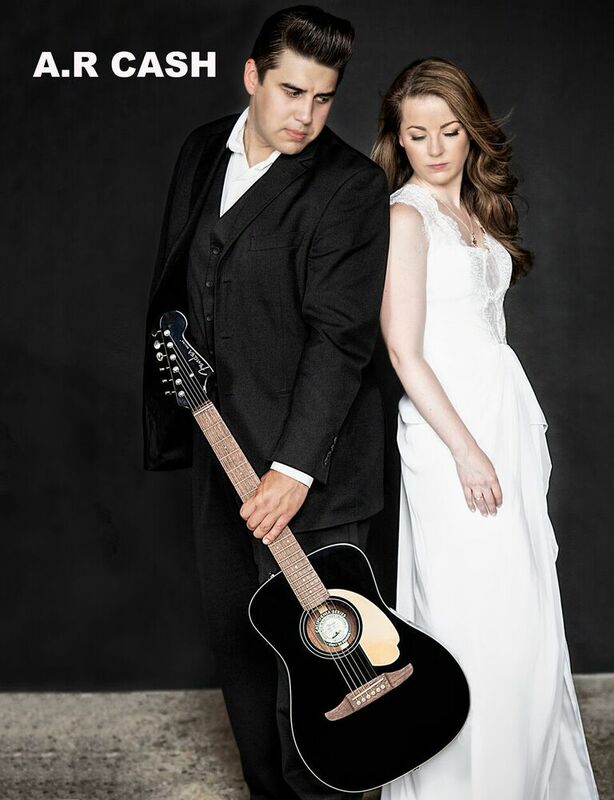 With the addition of internationally acclaimed country songstress Ashley Robertson to portray June Carter Cash, they charm audiences with solid and playful performances sharing the history of Johnny and June's early career and faithfully performing beloved hits like "Folsom Prison Blues", "Wildwood Flower" and "Jackson". The duo is also developing their own original project and is once again nominated for Josie Music Awards for Tribute Artist of the Year as well as Traditional Country Duo of the Year. Backed by some of the best musicians in the business they attract large audiences wherever they perform having headlined at prestigious venues such as The Red River Exhibition, The Manitoba Sunflower Festival, The Moosomin Theatre and The Painted Hand Event Centre. They have even performed with the legendary Vince Gill in Nashville, Tennessee. For more about the group please visit http://arcashshow.com.